With the Green Hippo Rackmount, you can do everything you can do with its bigger brothers. If you only need to run 4 video layers and you don't need dual/pan output or HD media then the Green Hippo Rackmount might be the solution for your project. You get built-in Media encoding, full Timeline capabilities, full effects banks, and over 35 components, all without compromise. And because the Green Hippo Rackmount supports full HippoNet functionality it will integrate fully into any project big or small. 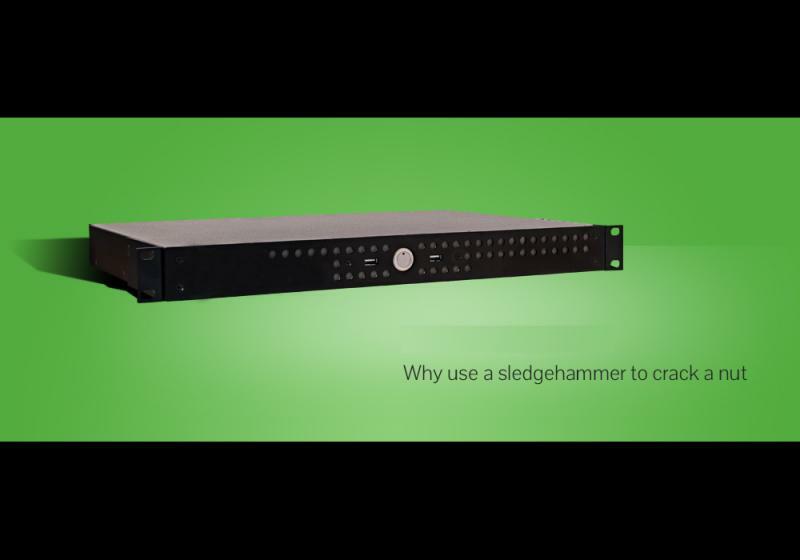 The Green Hippo Rackmount retains all the engine elements so you'll still get rich media playback up to a resolution of 720 x 576 and our highly acclaimed frame-blending too. You also get the addition of built in composite video capture functionality. Why use a sledgehammer to crack a nut? The Green Hippo packs a punch without hitting your budget.